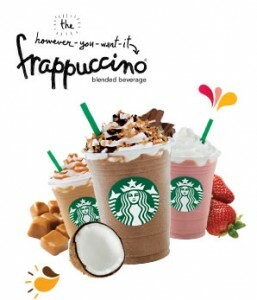 Now through September 9th, 2011, Starbucks is running their Treat Receipts program again. Purchase a beverage in the morning and bring your receipt back in the afternoon and get any Grande cold beverage for just $2. This is about half price of the regular priced cold beverages. So happy that they brought this back again! It’s great for someone like me who always gets giftcards to Starbucks for the SOLE reason that I would go there only in the fall to get pumpkin spice lattes. People assumed I was a Starbucks person and would get me those cards as gifts! I’ve now learned to enjoy their Iced Passion Tea (unsweetened), which is available at a fraction of the cost of other fancy drinks there! Anybody else who always gets Starbucks cards as gifts? Be sure to register your cards! They have a reward program where you can earn free drinks and free refills on coffee & tea (hot or iced) on the same visit. For a grad student like me, if I decide to hang out writing papers at Starbucks instead of the library, I usually get 3 or 4 iced teas for the price of one since it’s usually an all day paper writing affair!